14 May A big month in beef export… in a relative sense. We’ve been banging on about stronger cattle slaughter in response to dry weather for a while now. The stronger slaughter has now translated into stronger exports, with April defying the usual trend and putting up some big numbers. It should be somewhat comforting to cattle producers that the strong supply seems to be finding homes in export markets. Demand for Australian beef remains relatively robust. Figure 1 shows April beef exports were down a marginal 3% on March thanks to public holidays. Exports were however, 32% higher than April last year, and at a four year high for the month. Japan was again the major market for our beef. Despite the slight month on month fall, exports to Japan were up 3% to their highest level since August last year, taking 31% of our beef. Korean exports were down 11% on last month, so it would seem Japan are absorbing more high quality beef. Chinese exports were up 10.5% on March, and a very strong 54% on April last year, hitting their highest level since November 2015 (figure 2). Chinese beef demand continues to grow, and it is slowly heading back towards the boom times of 2013 and 2015. China again went past Korea to become our third largest market, at least for April. Exports to the US market were down 2.5% on March, but up 33% on April last year (figure 3). Stronger slaughter, and especially female slaughter, this year has increased the supply of manufacturing beef, our main export to the US. The stronger supply of beef, along with increased US slaughter, has seen the 90CL fall 7% in US terms, and 10% in AUD terms. It will be interesting to see if beef exports show the usual bounce in May, which would see them rise around 16%. The way the season and slaughter is tracking it wouldn’t surprise to see a solid increase in beef exports. With beef still seemingly being sold into export markets at reasonable prices, there is hope that if the dry continues, the subsequent stronger supply might be soaked up at around current prices. Obviously, if it rains tighter cattle supply will see competition for beef, and improved prices. Beef exports were down slightly on last month, but much stronger than April 2017. 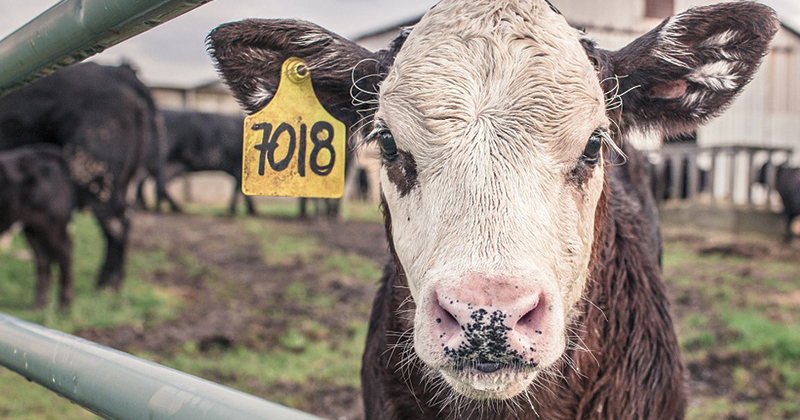 Exports defied the usual downward trend in April thanks to stronger slaughter. Exports to China hit a 3 year high as the upward demand trend continues.